If you had any fears that the vinyl revival was heading for a downturn, rest easy. According to newly released U.S. numbers, the format is still striving and on track to break a new sales record in 2018. In the U.S., 7.6 million vinyl albums sold in the first half of 2018, while the same period last year saw 6.4 million, according to the data collected by Nielsen Music. 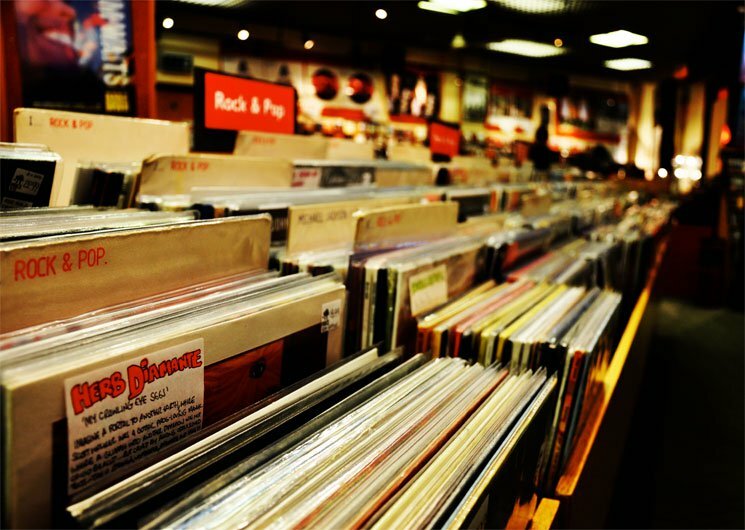 That means vinyl album sales grew 19.2 percent in the U.S. this year so far, Billboard reports. So far in 2018, the Top 10 best selling albums on vinyl are Jack White’s Boarding House Reach (37,000), Kendrick Lamar‘s DAMN. (30,000) and the Guardians of the Galaxy: Awesome Mix Vol. 1 soundtrack (28,000). Believe it or not, Justin Timberlake‘s critically panned Man of the Woods also made the list, securing the No. 7 spot with (26,000). Down below, you can see the full Top 10 list of the best selling vinyl albums of 2018 so far. The range of data is from the tracking period of December 29, 2017, through June 28, 2018. The 7.6 million vinyl albums that sold in 2018 account for 11.2 percent of all albums sold (68 million) and 18.7 percent of all physical albums sold (40.6 million for CD, vinyl, cassette), according to Nielsen. As Billboard points out, 2017 marked the 12th straight year of growth for vinyl since Nielsen started tracking sales in 1991, with the format selling a total of 14.32 million units in the U.S. (up 9 percent from 2016). This means that 2018 is on track to top that number and make it a record-breaking year. In 2018, Record Store Day also helped the vinyl format, with the 11th annual event yielding 733,000 vinyl albums sold in the week ending April 26. This was a new record for RSD week, and the third-largest weekly number for vinyl album sales ever in the Nielsen era.